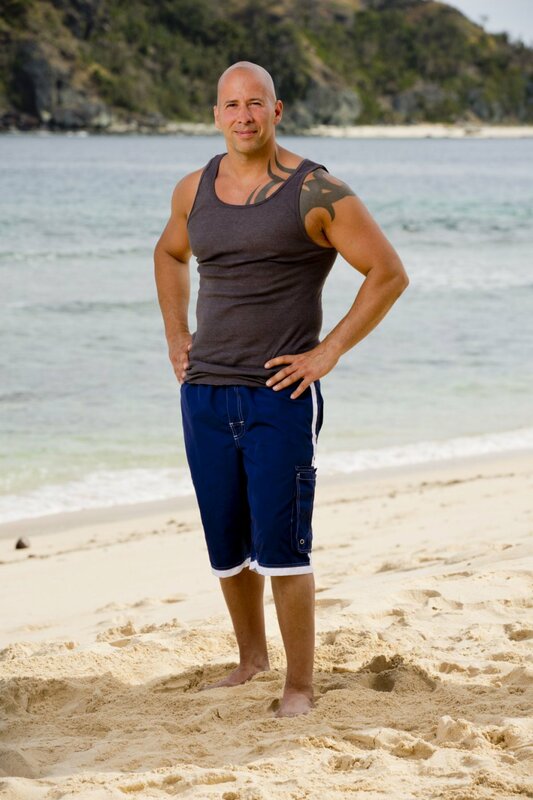 Tony Vlachos is one of the returning castaways on Survivor: Game Changers who actually won the game before. Tony, a 43-year-old from Jersey City, NJ, hopes to walk away with another $1 million in his pocket. This all-stars season, the franchise's 34th edition, will premiere with a special two-hour episode on Wednesday, March 8 at 8PM ET/PT on CBS. The show's debut marks Survivor's milestone 500th episode. Survivor: Game Changers, filmed in the Mamanuca Islands in Fiji in June and July 2016, will feature 20 castaways who are being billed as having made some of the biggest moves in the history of the game divided into two tribes, Mana and Nuku, that are each comprised of 10 veteran players. Tony will be competing on the "Mana" Tribe with Michaela Bradshaw, Aubry Bracco, Sandra Diaz-Twine, Ciera Eastin, Malcolm Freberg, Hali Ford, Caleb Reynolds, Troy "Troyzan" Robertson, and Jeff Varner. - Tony was previously crowned champion of Season 28, Survivor Cagayan -- Brawn vs. Brains vs. Beauty, in 2014. The police officer, who started out on the Brawn tribe, defeated runner-up Yung "Woo" Hwang in a landslide jury vote. - Tony married his wife, Marissa Ann, in June 2012, and their daughter, Anastasia Marie, was born in February 2013, five months before the new dad left to film Survivor: Cagayan. The couple's son Constantine was born in June 2014, three weeks after Tony was declared the winner of Season 28. - He is best remembered for his cocky attitude and wild antics on Survivor, including building a "spy shack." Tony was a ruthless and unpredictable player, who wouldn't hesitate to betray his tribemates and fool them with big lies, including swearing on his family. - Tony said it's just not in his DNA to play a quiet, under-the-radar Survivor game, so unfortunately, he doesn't seem to have a new bag of tricks or set of skills going into the Game Changers season. - Tony told Reality TV World after Cagayan that Spencer Bledsoe definitely would've won the game had he made it to the end because Tony was the lion and Spencer was the gazelle trying to run away. Tony noted that everybody typically roots for the underdog, the gazelle.